CEC has two barns on the property for boarding. The Main Barn has twenty-three 12’ x 12’ stalls and the Hunt Barn has seven 10’ x 12’ stall available. The Main Barn offers a kitchen, three heated tack rooms, one full bath and two half baths, as well as a heated viewing room overlooking the indoor arena with bistro style seating. A lounge with amenities of coffee and tea are offered for our boarder’s comfort. 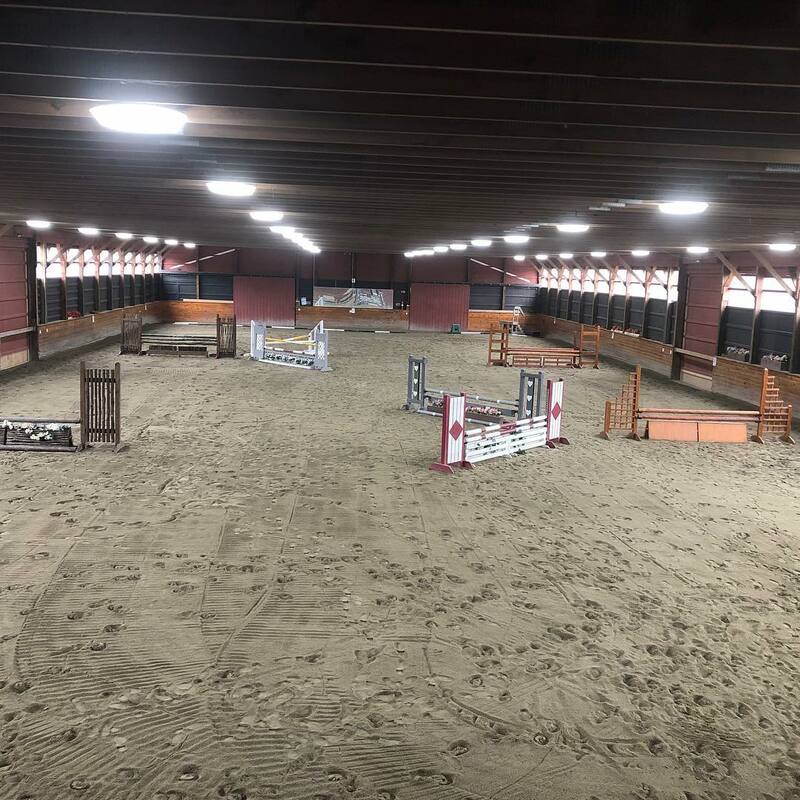 A sizable 180’ x 80’ indoor arena with new equestrian sand footing offers a lovely contained riding and training space throughout the year, as well as a warm alternative to outdoor riding during the winter months. The indoor arena is also available for Non-CEC boarders on a fee per visit basis. CEC loves horse lovers and offers access to our indoor arena to owners who would like to trailer their horse in for $25 per visit or eight visits for $175. A nice space for owners to ride and train indoors, especially during the winter months. CEC has two outdoor areas for use, one for jumping and flatwork and the other for work on the flat. 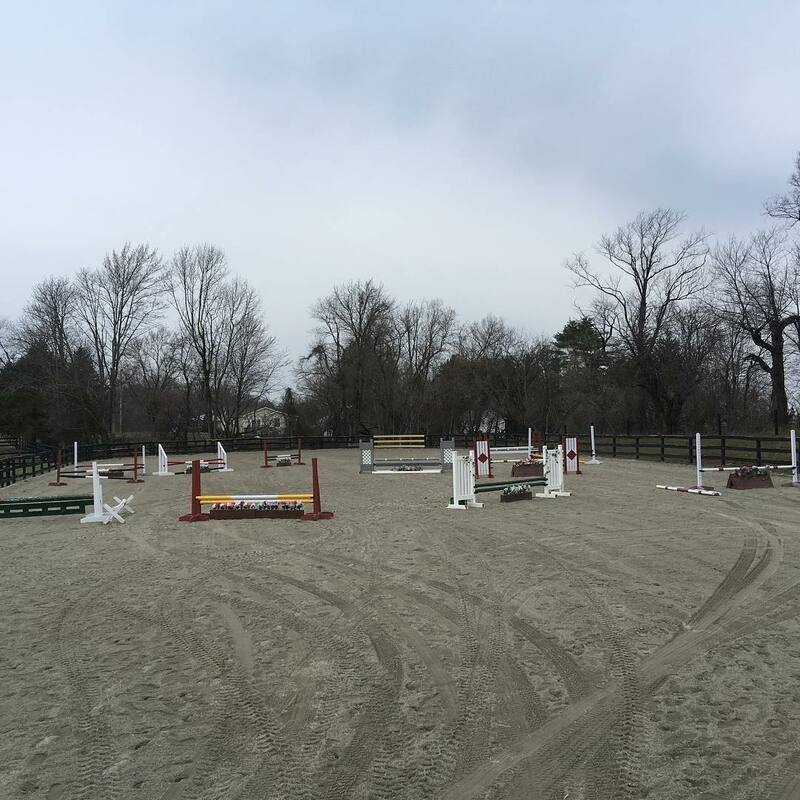 Both arenas have new footing for a safe and pleasant workout with your horse. There is much outdoor fun to be had, with your horse, by utilizing CEC’s unlimited trail system on the property, as well as access to all of the trails throughout the adjoining properties in the area. CEC offers our boarders the option of full group, semi group, or individual turnout for their horse daily.